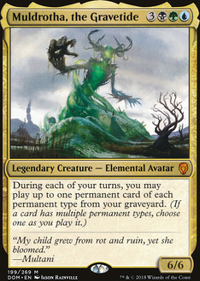 I‘d suggest replacing Sift with Chemister's Insight , simple because you can cast it 2x. 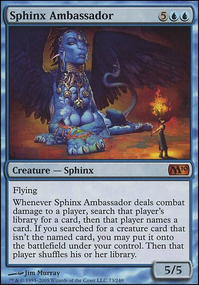 Remove Air Elemental s and Riddlemaster Sphinx , add 3x Dream Eater , his ability with flash works Great,... and of course you could consider splashing for Teferi, Hero of Dominaria . That would also give you The Option to go for a more Control approach with your Mill,... maybe think about that. GL with your Deck, Have Fun! Nice, i play a version with Wilderness Reclamation and Hydroid Krasis . 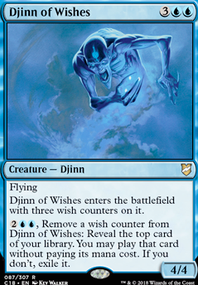 Its so good, krasis on your turn and counter, exile or draw in op turn. 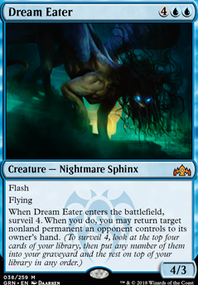 I have try Dream Eater but cost to high for the value. Krasis give you 2 cards and 2 life for the same cost.